Tomato vines belong to the nightshade family and originate from Central and South America, today they are grown also in Europe, China and the US. The popular ball-shaped round tomatoes contain the vitamins A, B1, B2, C, E and niacin, mineral nutrients, especially potassium, and trace minerals. Dried tomatoes are yummy, too. Especially in the Italian kitchen, dried tomatoes are part of the typical antipasti and a tasty ingredient of pesto rosso. 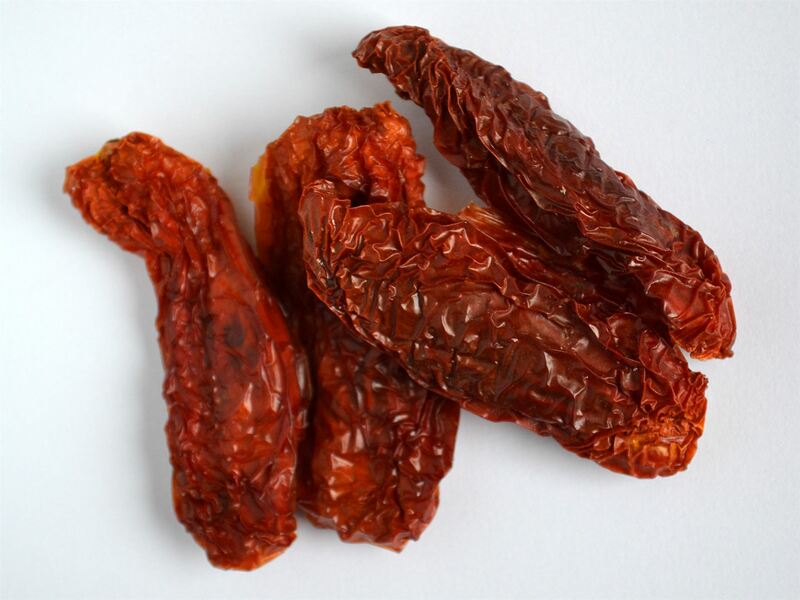 Dried tomatoes have a more intensive taste, all important substances are there in concentrated form.